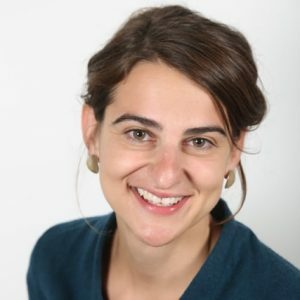 Dr Irene Papanicolas, Ph.D., (HF 2015–16) was an assistant professor of health economics in the Department of Social Policy/LSE Health at the London School of Economics when she applied for a Harkness fellowship. She had previously served as a research officer at LSE Health as well as the Health Economics Research Centre at the University of Oxford. Irene had already published in peer reviewed journals and for governmental agencies such as the European Observatory on Health Systems and Policies. Her research interests at the time included performance assessment of health systems, international comparisons and benchmarking, performance related incentives . Irene gained her Ph.D. in social policy (health economics) from the London School of Economics, a M.Sc. in comparative social policy from the University of Oxford, and a M.Sc. in public policy from University College London. As a result of her work on performance measurement and incentives, Irene was curious to understand whether penalties for non-perfromance being applied in the US were successful in incentivizing improvements in outcomes. In recent years, a number of payment reforms have started to rely on financial penalties rather than, or as a supplement to, bonuses to incentivize performance improvements. She felt there was a need to examine the intended and unintended consequences of penalty-based pay-for-performance schemes on value-based care in Medicare. A placement at Harvard’s T.H. Chan School of Public Health, supported by Ashish Jha, M.D. from the Harvard Global Health Institute, gave her the ideal venue to study the performance related penalties found in Medicare’s Hospital Readmissions Reduction Program (HRRP) and Hospital Value-Based Purchasing (VBP) Program. Irene’s research showed that the national VBP Program, which employs both penalties and bonuses to incentivize better quality, had an observed effect on improving patient experience. She also found that since the introduction of Medicare’s Hospital Readmissions Reduction Program, there is evidence to suggest that the financial penalty has modestly influenced pneumonia coding patterns by U.S. hospitals to potentially avoid incurring federal penalties. Irene returned to the LSE and is now working an associate professor of health economics. She continues to work closely with her Harkness mentor, Ashish Jha, as a visiting associate professor at the Havard T.H. Chan School of Public Health. Irene continues focusing her research on performance measurement and international comparisons. She has published her work on the VBP program in Health Affairs, and presented her work on the HRRP and VBP programs and Academy Health, the American Society of Health Economics meeting and the International Health Economics Association Conference. Irene has continued to work on performance comparison work and recently published two other pieces on this topic with her mentor in JAMA, which was cited in many media outlets including the New York Times, the Guardian and the Washington Post.